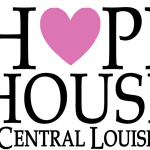 Since 1989 the Hope House of Central Louisiana has been providing for and caring for homeless women and children in and around the central Louisiana area. This notable organization doesn’t just provide shelter and food — the organization teaches these mothers and helps them become self sufficient to help them get back on their feet and live a healthy and happy life. The organization relies on donations from the community to sustain itself. Our support is strong for this organization and we encourage anyone to donate to them. The attorneys at Neblett, Beard & Arsenault fully support this organization and have given to the organization. The organization can use your help. There are multiple ways to help them, you can volunteer your time or you can submit monetary donations. Learn more by visiting their website.